After USD/CAD finally broke below .9900, I was waiting for a potential retest of that level for quite some time now. But with the FOMC statement coming up, I might be better off cancelling this trade idea instead. The pair doesn’t seem to be showing any signs of retracing to any of the former support levels at the moment as it is currently crawling sideways. I’m thinking that, with the FOMC gearing up for what could be a huge announcement, this pair could make a strong breakout either way. After all, Operation Twist is set to expire at the end of this month and this is the last Fed rate decision for the year! You might be wondering why I won’t be taking a breakout play instead. Well, breakout trades aren’t exactly my cup of tea and besides, it appears that there’s limited upside or downside either way. Because of that, I decided to just sit on the sidelines for now and hunt for another idea instead. Got any setups you’d like to share with me? I’m thinking of trading after the FOMC dust has settled, probably during the early Asian session. You know where to reach me! Even though I lost on my previous USD/CAD trade, I’m not letting recency bias affect my trading decisions so I’m taking another shot at USD/CAD! This time around I’m looking for a possible break and retest of the .9900 handle on the daily chart. Since risk sentiment is pretty whacked lately, I’ll wait for price action to tell me when to enter. 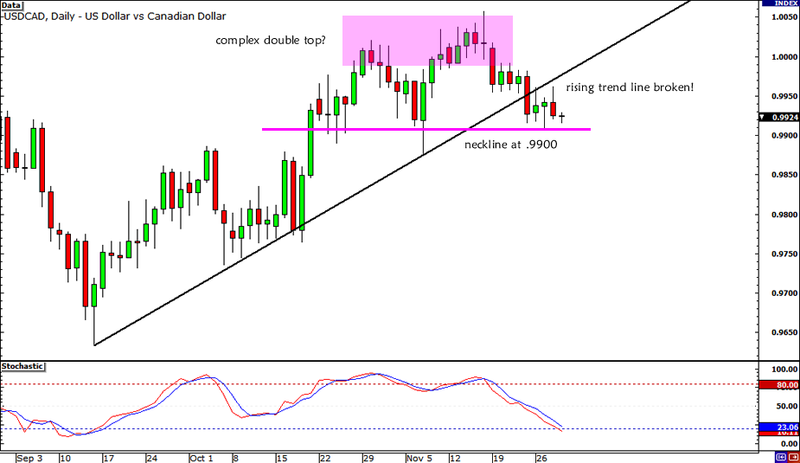 USD/CAD could break below the .9900 handle if fiscal cliff talks continue to break down ahead of the deadline. On the other hand, Canada could also release worse-than-expected data that could boost the pair back up. For instance, analysts are expecting weak figures for Canada’s current account data due today. But since I’m bullish on comdolls in the long-term (especially now that CAD will be one of the world’s reserve currencies), I’m looking for a retest of a possible broken support at .9900. In fact, the setup is also in line with the Fib play that we spotted in last week’s Comdoll Trading Kit. What do you think? 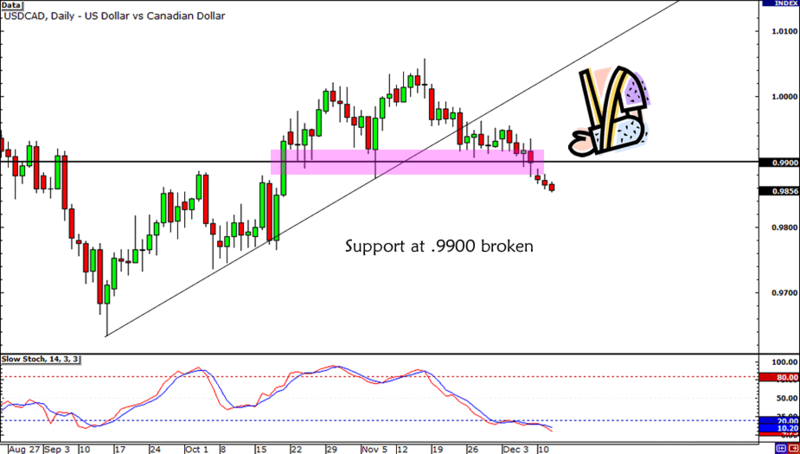 Will USD/CAD break below .9900 or will the Greenback strengthen until the end of the year?